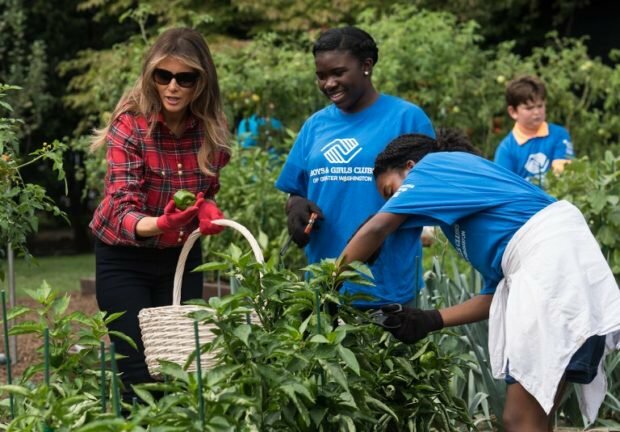 Why Does the Press Hate Melania? I really can't understand the hatefulness of the media and the rest of the Left toward Mrs. Trump. Melania is the most beautiful, graceful and intelligent First lady since Jackie Kennedy. Did they malign Jackie Kennedy? NO, of course not! She was married to a Democrat. You may dislike or even hate President Trump but why take it out on his wife? She is a First lady that any nation can be proud of. She has done some of the very same kind things for children that Michelle Obama did. For these very same acts Michelle Obama was highly praised while Melania was unfairly criticized. While President Trump was being labeled a bully, his wife was fighting against bullying at a Detroit school. She told the students, “I think it’s important that we choose kindness and compassion”. Melania has chosen to make the fight against bullying a priority as First Lady. I wonder how many of those people who are downgrading Melania Trump can speak five languages as she does. I'm proud of her. How about you? Are you making a New Year's Resolution to get more exercise next year? According to the American Academy of Neurology you may be helping your memory especially if you have mild cognitive impairment (MCI). These scientists say that exercising twice per week is beneficial and helps retain memory and thinking abilities in persons with MCI. Unlike dementia MCI does not affect the ability to cope with routine acts of daily living like getting dressed, eating and bathing. People with MCI have trouble remembering things like appointments, where they put their car keys, cell phone or what did they come into this room for? Doctors are wanting patients to slow the advance of MCI as it is sometimes, but not always, a precursor to Alzheimer's. Since there are no sure treatments for Alzheimer's doctors are eager for patients to do everything they can to slow its progression. 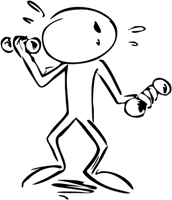 It is recommended in a report in the journal Neurology that persons with MCI get exercise at least twice per week. While it hasn't been proven that excise is beneficial in this regard the experts claim that you can't medicate yourself to better health. Besides, exercise has general health benefits at little risk. Sometimes the symptoms of MCI can lessen with taking fewer medications as cognitive issues can be a side effect of some medications. No specific kinds of exercise were recommended for MCI but it is suggested that aerobic exercise and resistance training can be helpful. Is Donald Trump's Cabinet Really Plotting Against Him? 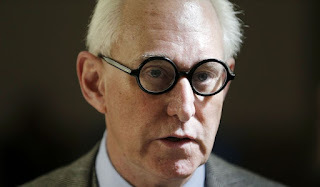 Donald Trump's former presidential campaign adviser Roger Stone, in a recent C-span interview, stated that some members of the President Trump's cabinet are plotting to remove him from office. He said they are considering whether they can invoke the 25th Amendment to that end. I think it’s the fallback plan for the establishment. That’s why I’m trying to sound the clarion call. When asked for specifics he would not discuss those but insisted that there is basis for his claims. Mr. Stone co-hosts an internet and radio program, "War Room" He previously advised Richard Nixon and co-founded a lobbying company along with Paul Manafort who was Donald Trump's campaign chairman. Mr. Stone predicted that the outcome of Robert Mueller’s investigation will have an effect on Mr. Trump's potential removal from office. “There is a plan afoot that is broader than just the Cabinet. The 25th Amendment requires a majority of the Cabinet and the vice president [to remove the president]. I don’t think that is achievable today, not on the heels of the historic tax cut, not on the heels of the disintegration of the credibility of the Mueller investigation. But we have seen what happens when a hysteria is whipped up among the people by some in the mainstream media. 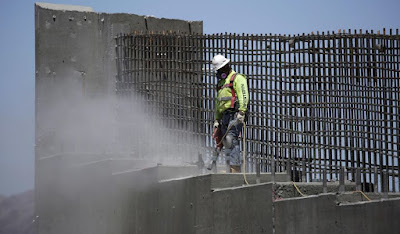 And I have always thought this is plan B for the two-party duopoly that has run this country into the ground,” Mr. Stone added. Talk About a White Christmas! Erie Pennsylvania had a whopper of a White Christmas 53 inches of snow in two days. 34 inches fell on Christmas day and another nineteen inches the next day. The 34 inches that fell on Christmas day was more than 4 times the previous record for Christmas Day. Needless to say a state of emergency was declared by the city of Erie. 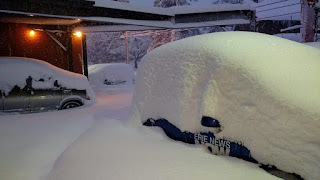 The local news state declared, "We are buried here!". I like a white christmas which we rarely get here in Western Washington. We got about 2 inches on christmas Day. Just right. I wouldn't want to be in Erie when the snow melts. As he signed the tax bill president Trump mentioned the need for improvement of our infrastructure. But will it get done? Senate Majority leader Mitch McConnell seems to want to focus on Dodd-Frank reform law and illegal immigrant Dreamers. House Speaker Paul Ryan wants to reform entitlements and Mr. McConnell is reluctant to deal with those issues without Democrat input. But Democrats claim that Republicans blew the needed funds on the tax bill. While the parties are bantering back and forth the Republican lawmakers can't even seem to agree on what is most important. Do we wait for another bridge to fall? 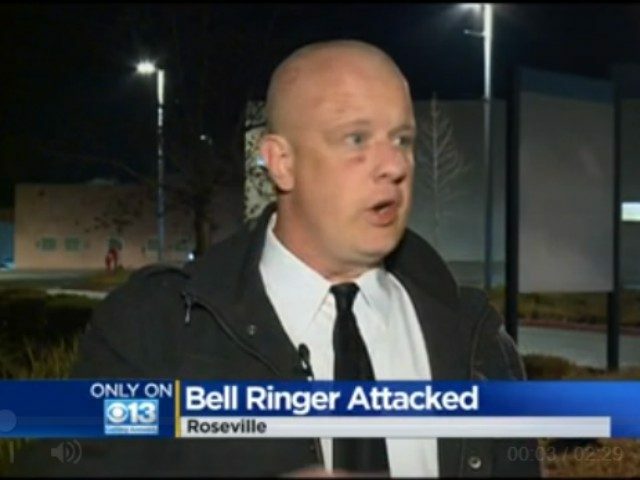 Salvation Army Bell Ringer was beaten up because he said "Merry Christmas" to a passerby. He was in front of a Walmart store in Sacramento CA. saying "merry Christmas to every passerby. Rev. Jamie Wolfe Sr. said "He haymakered me, hit me,got me down on the ground and we started wrestling, at that point I'm fighting for my life." Apparently the attacker was not after money. 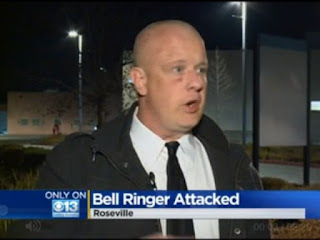 The store said that Mr. Wolfe, Sr. kis the best bell ringer they have ever had. Lt. Steve Pavlakis who has been with the Salvation Army for over 14 years said he's never seen anything like it. Wolfe Sr. who suffered bumps and bruises says, "I'll be right back out there doing it again tomorrow. I say "Good For Him". The attacker has not been caught but there is surveillance footage that may help. The United Nations General Assembly Thursday received a stern warning from US Ambassador Nikki Haley who threatened to pull U. S. funding in response to their resolution condemning Trump's decision to recognize Jerusalem as Israel's capital. 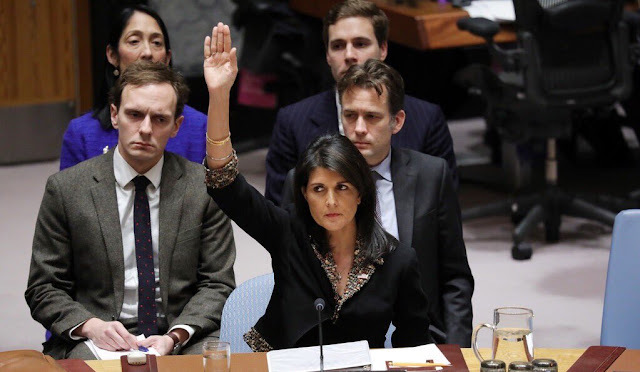 In her statement she said “The United States will remember this day in which it was singled out for attack in the General Assembly for the very act of exercising our right as a sovereign nation." The resolution passed 128-9 and indicated "deep regret" at the move by President Trump. The resolution asks “all States to refrain from the establishment of diplomatic missions in the Holy City of Jerusalem.” Turkey and Yemen sponsored the resolution after the US vetoed a similar resolution in the Security Council. But the US does not have veto power in the General Assembly. The Trump administration , so far has shown a willingness to back up tough talk with action. This writer will be waiting with baited breath for what happens next. There will be a vote Thursday in the general Assembly of the United Nations. This will be a vote on a draft resolution which criticises Donald Trump's executive decision to move our embassy to Jerusalem. Any country that votes in favor of this resolution is apt to face reprisal from the U. S. Government according to the Trump administration. 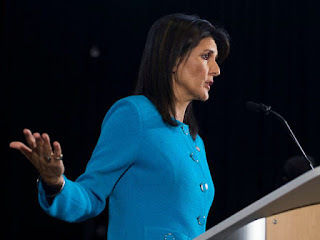 Nikki Haley, our ambassador to the UN, sent a warning to most of the member nations according to the Associated Press. The letter states, "The president will be watching this vote carefully and has requested I report back on those countries who voted against us". "We will take note of each and every vote on this issue." Haley also stated that the administration is "simply asking that you acknowledge the historical friendship, partnership, and support we have extended and respect our decision about our own embassy." In a more straightforward manner she tweeted: "At the UN we're always asked to do more & give more. So, when we make a decision, at the will of the American ppl, abt where to locate OUR embassy, we don't expect those we've helped to target us. On Thurs there'll be a vote criticizing our choice. The US will be taking names." Quoting Trump on Wednesday: "They take hundreds of millions of dollars and even billions of dollars, and then they vote against us. Well, we're watching those votes. Let them vote against us. We'll save a lot. We don't care,". Air pollution in Asia has reach severe proportions. Lung and cardiac diseases are exacerbated, if not caused, by smog from heavy traffic and burning coal. 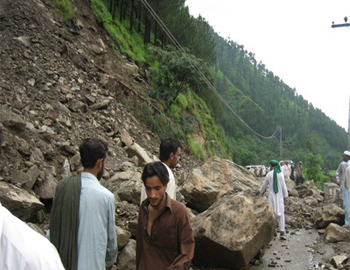 Researchers say that landslides can even result from air pollution. Cracks appear in rock formations over time due to differences in daily temperatures. These formations are further destabilized by water and plant roots. Oftentimes heavy rains and/or an earthquake is all that is needed to cause a landslide. 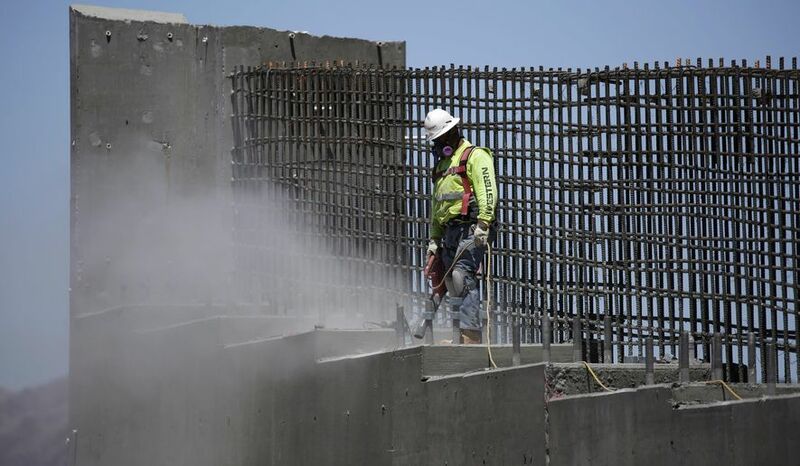 Pollutants are released into the atmosphere and their chemicals react with rain water forming sulfuric and nitric acid. The normal pH of rainwater is 5. The acids in the polluted rainwater lower the pH to 4.3. This small difference, say geologists, is enough to have an effect on water-soluble rocks. Limestone and shale are particularly vulnerable to the lower pH of the acid rain as it dissolves the calcite, which holds the shale together. The acid rain also has an effect on the cracked limestone as it provides oxygen and food to the microorganisms which live in the rocks. The layers of rocks become slippery because of the loss of organic material and large amounts of limestone slip down the slope. 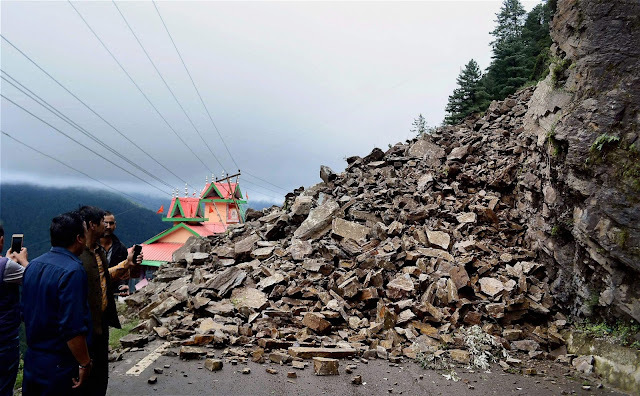 Risky areas for future landslides are being studied by researchers in hopes that this knowledge would help to recognize these risk zones. This could also demonstrate the need for investing in clean energy. Because of the drop in oil prices it is cheaper to make new plastic goods than to recycle the old ones. 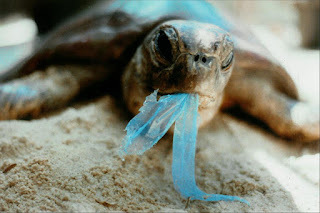 so that means more plastic is being thrown away and ending up on our beaches. With the increase in ocean debris in the form of plastic some enterprising persons are turning this rubbish into sunglasses and running shoes. Will this make it profitable, then, to recycle and to clean up the trash from the beaches? One would think so. This could potentially lead to a vast clean up of microplastics from the most polluted areas. 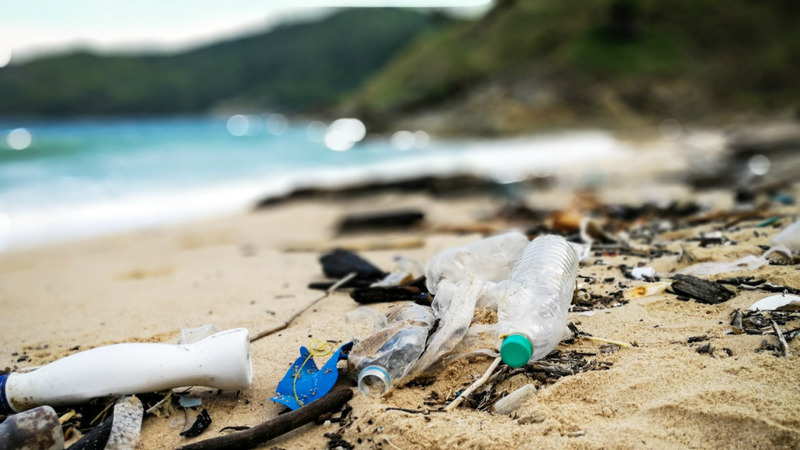 It is encouraging to note that skateboards sunglasses, doormats, athletic shoes, sportswear and even jewelry is being made from these throwaways. It is even reported that a large amount is being kept out of our landfills. The doormats are made from old lobster trap ropes. Cape Porpoise Trading Company is the firm making doormats and they have reported that their efforts have kept nearly 40,000 pounds of rope out of the landfills. The company pays fishers by the pound for their unusable ropes though some are happy to donate. In Chile fishing nets are being recycled into skateboards and sunglasses. 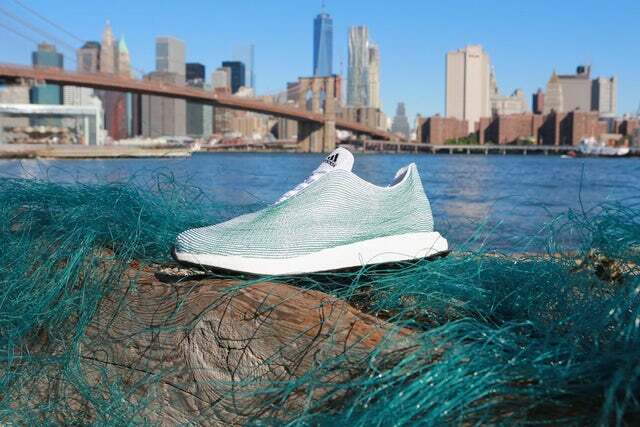 Adidas is partnering with a conservation organization called Parley for the Oceans to collect marine trash and use it to make athletic shoes. That could make beachcombing a profitable as well as beneficial hobby. It's good excise too. A 512 Year Old Shark? 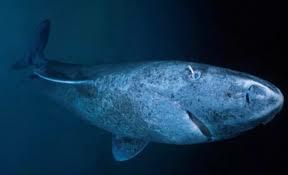 A recent issue of "Science" magazine published an article about a Greenland Shark that is believed by researchers to be 512 years old. This would make it by far the oldest living vertebrae on earth. The species is also known as the gurry shark or the grey shark. It inhabits the cold waters of the North Atlantic and Arctic oceans. 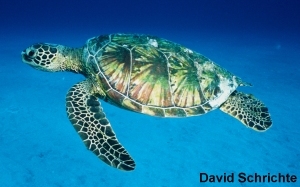 The Green shark grows at the very slow rate of about 1 cm (0.39 inches) per year. 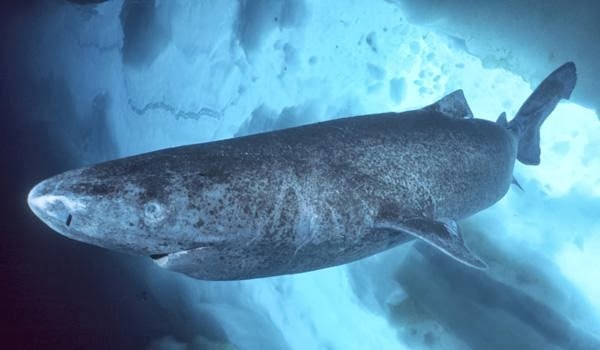 The researchers recently discovered a 18 foot Greenland shark. The large size of this fish was a clue that this specimen was obviously very old. 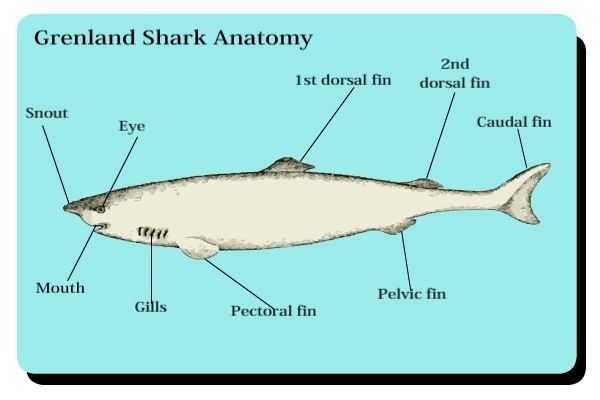 Using scientific methods of determining age they estimated that the shark could be as old as 512 years. This dates the shark back to the days of Christopher Columbus. We must remember that they are not absolutely sure of the age of this animal. Even at the very youngest estimate the shark would be 272 years old making it the longest living vertebrae known. 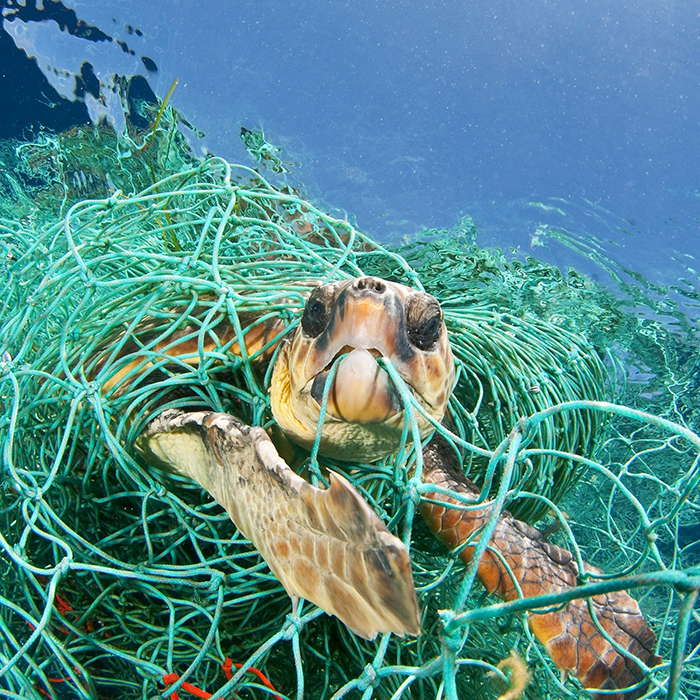 One of the latest victims of human carelessness and wastefulness are the sea turtles.The largest culprits are fishing gear and household rubbish. Other traps include beer and pop plastic six pack holders. Balloon string and plastic chairs also have served as lairs for these beautiful creatures. 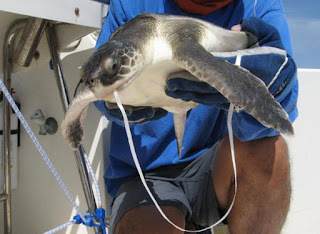 These pieces of rubbish have done serious and very often fatal damage to the turtles even amputating their limbs and suffocating them. 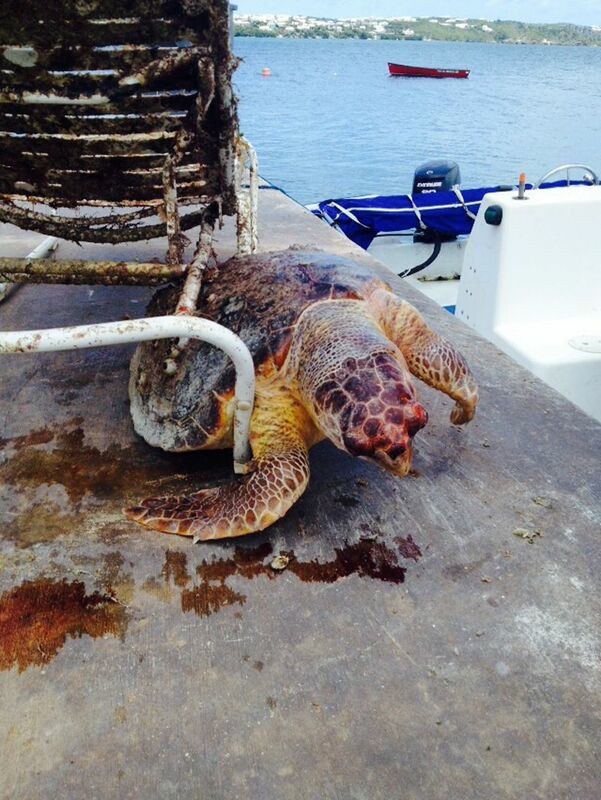 Authorities estimate that as many as 1,000 turtles are killed yearly by our garbage and our carelessness. 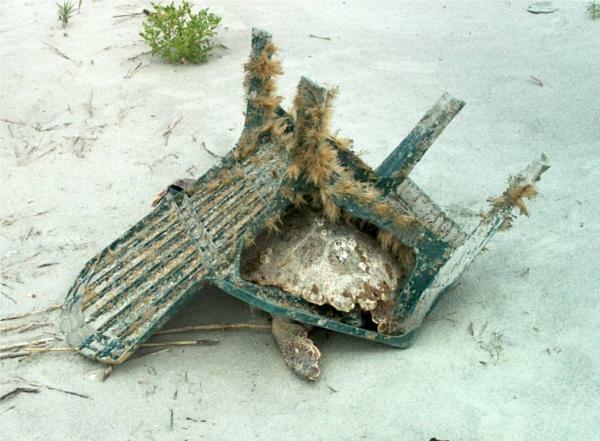 It is believed by many scientists that more turtle deaths occur from plastics than from oil spills. These animals even mistakenly eat plastic instead of food. The discarded plastic is referred to as "floating traps" for these animals. The author realizes that these images are disturbing but it is hoped that they will help to bring awareness of this problem to our readers. It is hoped that the nations of the world will develope good deposit return programs to keep people from dumping their plastic trash. Also major corporations such as those who produce beverages need to join the fight to stop this carnage. 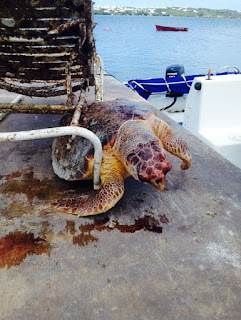 We want to see more healthy sea turtles. 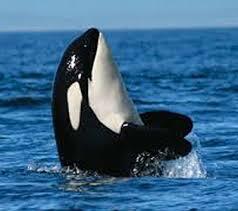 The whale is a member of the cetacean species which also includes dolphins and porpoises. Whales have a positive effect on our environment and the oceans and they aid our economy by bringing in extra money through tourist whale watching. Whales spend most of their lives together in families or groups hunting together and protecting each other. They are also highly intelligent and they have such a sophisticated language that it is believed by authorities that we could communicate with them if we could understand what they are saying. Echolocation researchers are using the study of these mammals to improve our methods of sonar technology. 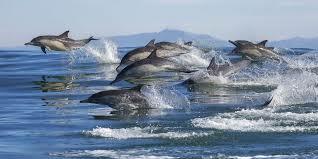 Cetaceans are so intelligent that they are being used by the military to locate underwater mines and to find lost people at sea. Whales help to balance the food chain by their eating habits. A blue whale can devour as many as 40 million krill in one day. Even whale poop benefits our environment by offsetting the carbon in the atmosphere. It is estimated that as much as 400,000 tons of carbon are extracted each year from the atmosphere by these mammals. Whale poop feeds phytoplankton which, in turn, feeds the fish allowing them to thrive and reproduce. These fish, in turn, feed other species and so on up the food chain. 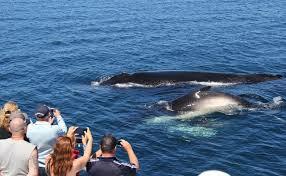 Whale watching is another way in which man is benefitted by these beautiful creatures. Billions of dollars are spent by people hoping to get a glimpse of these creatures in their natural habitat. So, as you can see, whales are extremely important to us as they help to stabilize the food chain and they benefit our economies through tourism. The entire world benefits from these mammals. I'm going to change the subject from Coastal Home Decor and launch into a discussion related to Coastal Living. That is the effect of global warming on marine life. Much of marine life is dependant on the food that kelp provides for fishes and other sea creatures. This in turn, affects our coastal economy. 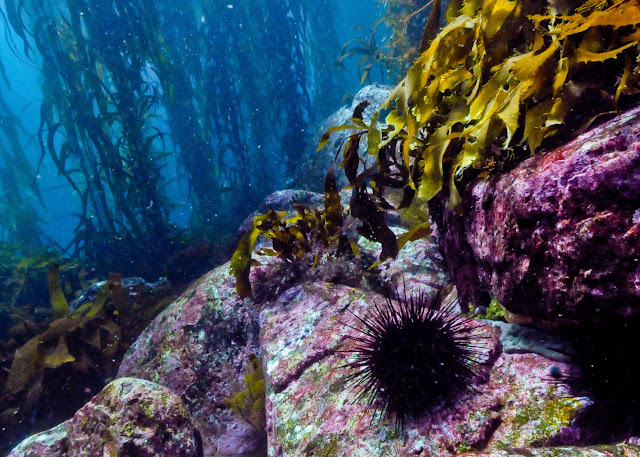 The long-spine urchin cannot tolerate the temperatures in which kelp naturally flourish. As the water warms, the kelp wilt and the urchins which like the warmer waters move in and devour the kelp. 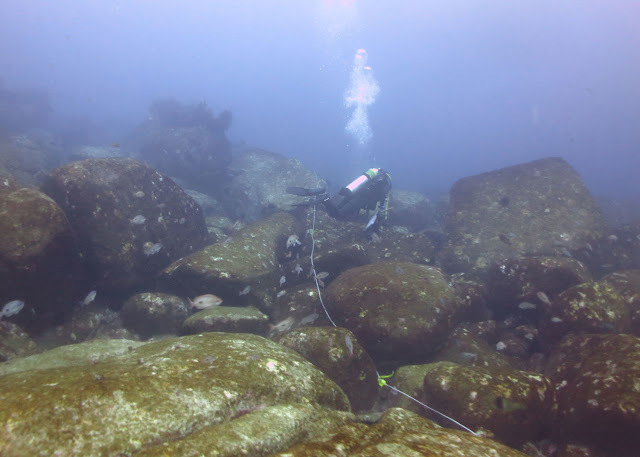 Below, see the progression of the kelp decline in Tasmania over the last few decades. The images are courtesy of Scott Ling from an article written by Alastair Bland for the Yale School of Forestry and Environmental Studies. 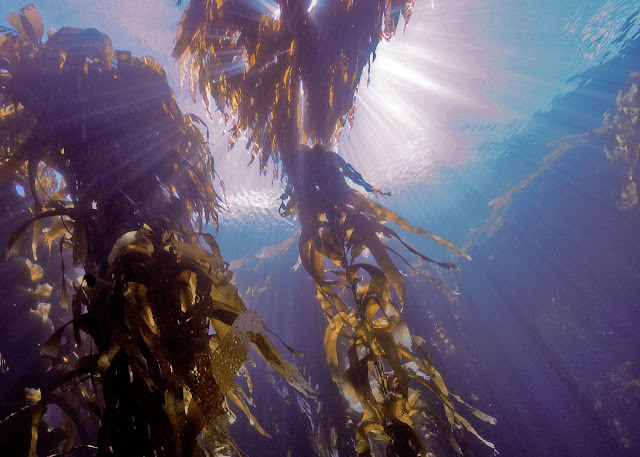 The area lost 95 % of its kelp by urchins. Organizations in various parts of the world have begun reforestation projects. Some by destroying urchins and others by introducing sea otters into the waters . Sea otters are among the very few enemies of the urchins. The question: Is global warming just a part of a regular occurring cycle of temperature changes or is it caused by humans? Or Both? Join the disussion. let us know how you feel.